Companies that are involved in weighing hazardous waste and materials have to take special care to safeguard against the damaging effects of these potentially dangerous substances. Industrial scales that are used to routinely weigh such substances should be made of stainless steel. This is the case no matter what kind of container the substance is housed in. There is no way to safeguard against a leak or spill 100%. Toxic liquids and gases are usually transported in cylindrical steel drums. If the liquid is corrosive to metal drums, then drums made from industrial-grade plastics are used instead. Substances that are normally kept in plastic drums include: liquid nitrogen, carbon dioxide, chlorine, ammonia sodium hypochlorite, alum, chlorine, and more. The most widely used drum size is 55 gallons. To properly weigh these drums, the drums are typically manually manipulated – meaning the drums are rolled on their sides and transported onto platform scales that way. Arlyn Scales manufactures well-built platform scales that are made entirely out of stainless steel. These scales are made to endure extreme use and are welded construction. The less moving parts on a heavy-duty scale the more rugged the scale is. Buying from Arlyn Scales gives you the added option of getting special corrosion resistant coating on your scales. This coating stands up to spills and leaks that inevitably come from handling drums that hold hazardous substances. If you have a spill, then these scales can be washed down easily and you never have to worry about the scales rusting. The digital readouts that are on Arlyn Scales’ scales feature built-in rubber seals, which protect the sensitive technology inside from moisture and liquid absorption. The displays can also come loaded with sophisticated software that will help users batch results as they go along. It will take accurate and methodical counts as items are loaded onto the scale platform, in addition to grouping them for you and transmitting them remotely to a database on a PC. All of these capabilities translate to less time spent handling hazardous waste and materials. Load Cell Models 620-300-IS, 620-100-IS, 620-50-IS, 620-25-IS, 620-10-IS, 520-10000L-IS, 520-5000L-IS, 520-5000IS, 520-2500-IS, 520-1250-IS, 320-500-IS and 320-250-IS, which are FM Approved components as per Approval Standard 3600, 3610, 3611 and 3810. Hazardous waste and materials pose a risk to employees, other equipment, and the environment. The government strictly regulates the disposal of hazardous waste. All businesses that produce, transport, and use them must be aware of the safety standards and regulations involved. If your waste product or chemical substances conform to the HCS (Hazard Communication Standard), then you can consult OSHA (Occupational Health and Safety Administration) for additional guidance. What Makes Intrinsically Safe Scales Special? The main difference between explosion proof/intrinsically safe industrial scales and standard industrial scales is explosion proof scales operate on much low power. Also, many intrinsically safe scales do not have any external power source—rechargeable batteries power the scales. The idea with intrinsically safe scales is to reduce the risk of fires and explosions as much as possible. Sparks coming into contact with flammable and explosive materials is what causes fires and explosions; therefore, it is necessary to eliminate the opportunities for sparks to be created to avoid fires and explosions. 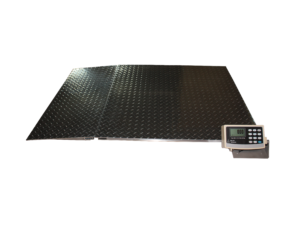 Consumers often wonder if explosion proof scales are as accurate as standard industrial scales because explosion proof scales operate on low power. The answer? They can. Arlyn Scales’ selection of ArlynGuard explosion proof scales is available in a range of maximum capacities and resolutions. For example, the ArlynGuard B Intrinsically Safe Bench Scale is offered with weight capacities ranging between 5 and 150 pounds, and resolutions ranging between .001 and .05 pounds. You can shop for the intrinsically safe industrial scale suitable for your facility today by visiting Arlyn Scales’ website. 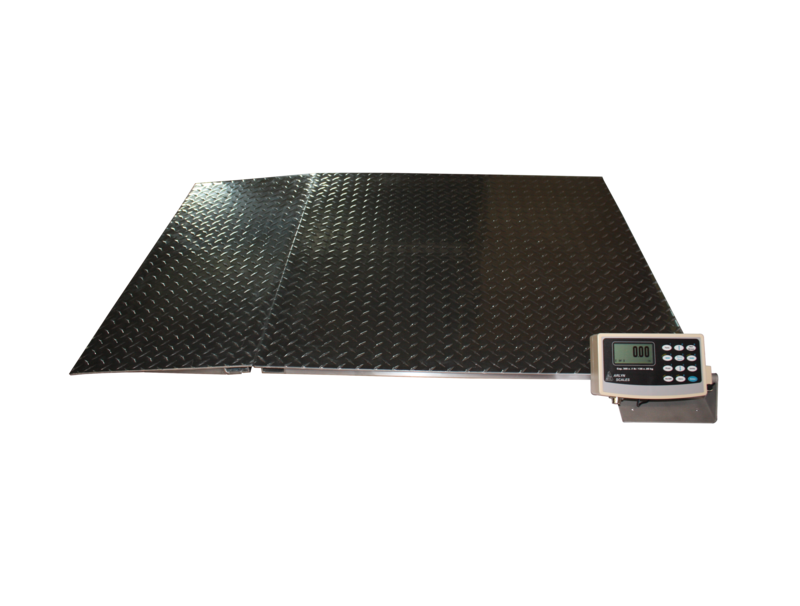 Take a closer look at the different styles and customizations available for our explosion proof scales and reach out to our team with any questions by calling us at 877-540-7934 or filling out our online contact form.